WCRE is proud to have successfully represented South Shore Properties, LLC in the exclusive leasing and marketing of an approximately 5,000 square foot retail space located within The Villages at Whiskey Mill to Inspira Health Network. Inspira Health Network is a charitable nonprofit health care organization serving communities across the southern New Jersey region. The network, which traces its roots to 1899, comprises three hospitals, a comprehensive cancer center, several multi-specialty health centers and a total of more than 100 locations. The new location at The Villages at Whiskey mill will now serve as Inspira’s seventh Urgent Care location in South Jersey. 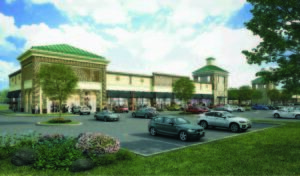 The Villages at Whiskey Mill is a newly constructed neighborhood retail shopping center consisting of two 18,000 square foot retail buildings in Clarksboro, NJ. This well located retail center provides immediate access to Route I-295 and many nearby amenities. WCRE has successfully fully leased the entire retail strip center with Inspira’s being the last tenant to capture the remaining vacancy. Christopher Henderson, Senior Associate and Leor Hemo, Executive Vice President, exclusively represented the Landlord in this transaction.